A successful American couple nicknamed "the Praps" figure prominently in Jan Gordon's "A Girl in the Art Class" (1927). 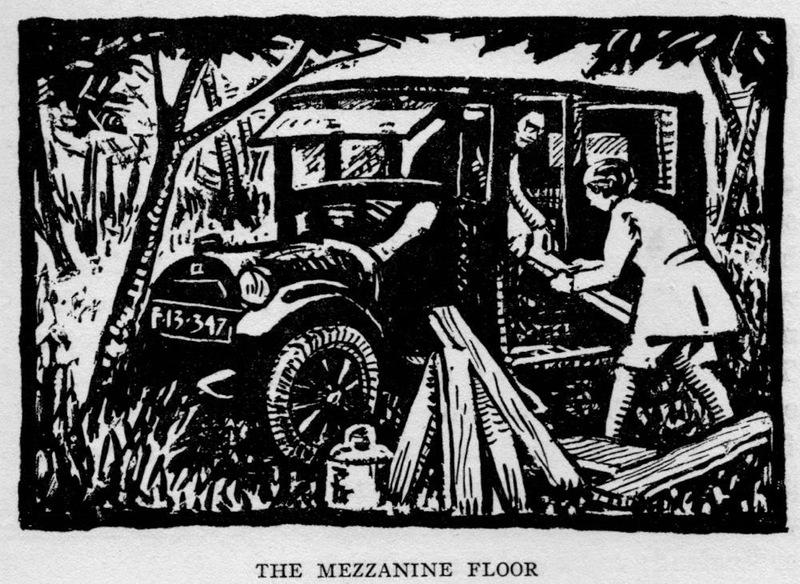 They organised many soirées and were significant characters in the pre-WW1 Anglo-Saxon Paris community. "Mr. Praps" was a photographer; he participated in a showdown between "Mr. Carpenter"/Turner (Cora Josephine's father) and "William Arnold"/Jan Gordon shortly before the marriage of Jan and Cora. I presume that "Praps" is a compression of "perhaps", perhaps a word he used often. Who could they have been these "Praps"? Edward Steichen (1879-1973) and his wife Clara are a perfect match to the descriptions given. Edward Jean Steichen was a successful photographer and artist, and lived with Clara in Montparnasse from 1906 until the outbreak of WW1, when they returned to New York. In Paris, he exhibited his paintings at the Salon de la Société Nationale des Beaux-Arts and at the Salon d’Automne. Whilst in Paris, Steichen acted as the representative for Alfred Stieglitz's "291" gallery in New York, selecting and organising two landmark shows. The first was the January 2008 Rodin exhibition and the second was an exhibition of Matisse works. 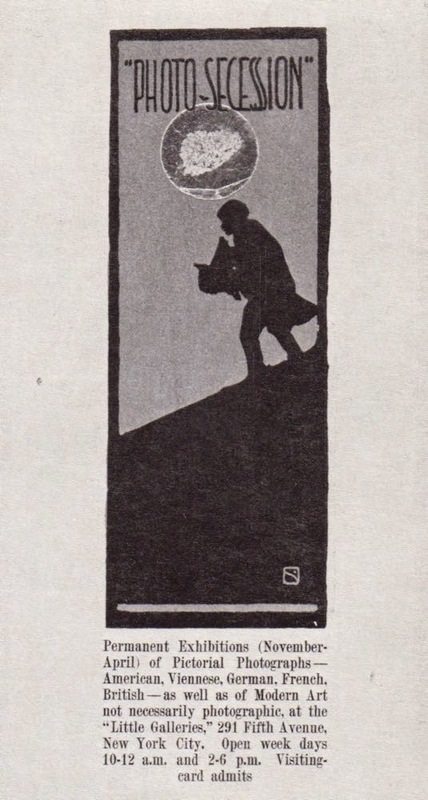 Eduard Steichen, "Photo-secession" broadside for the Little Galleries, 1915. From Atkinson et al. 1986. 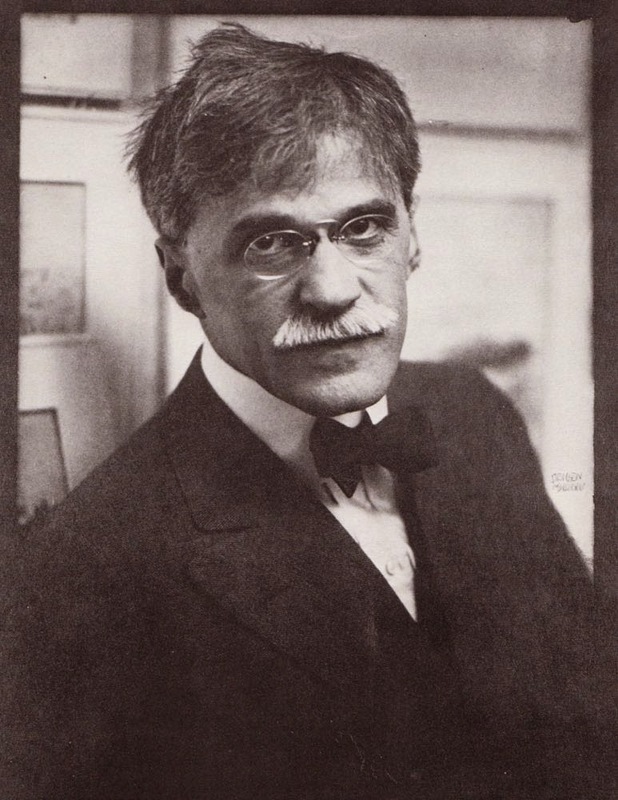 In 1908 he founded the New Society of American Artists in Paris with Arthur B. Carles, Patrick Henry Bruce, Jo Davidson, John Marin, Alfred Maurer, and Max Weber (an event reported in the New York Times on February 25, 1908 and discussed in Atkinson et al. 1986). 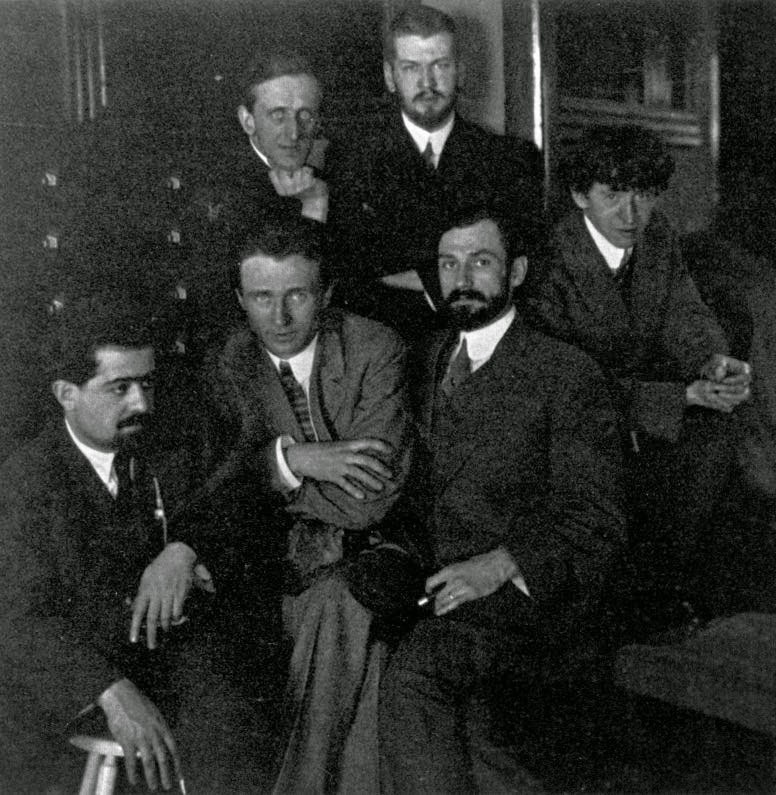 Left: A group of young American artists "of the Modern Style", Eduard Steichen is second from left, c. 1911, Bates College Museum of Art, unknown photographer (public domain, wikimedia commons, modified). Right: Alfred Stieglitz at "291" by Eduard Steichen, 1915. From Atkinson et al. 1986. Homer (in Atkinson et al. 1986) describes the art of Eduard Steichen as the most conservative of the painters in the "New Society of American Artists in Paris" and one who consciously combined painting and photography. "Perhaps his most important role within the context of the avant garde was his enthusiasm for things new and revolutionary - an attitude that culminated in the founding of the New Society of American Artists. It is no accident that the Society was formed in his studio and that he tolerated a wide variety of styles and expressions in the art of those Americans who assembled there. 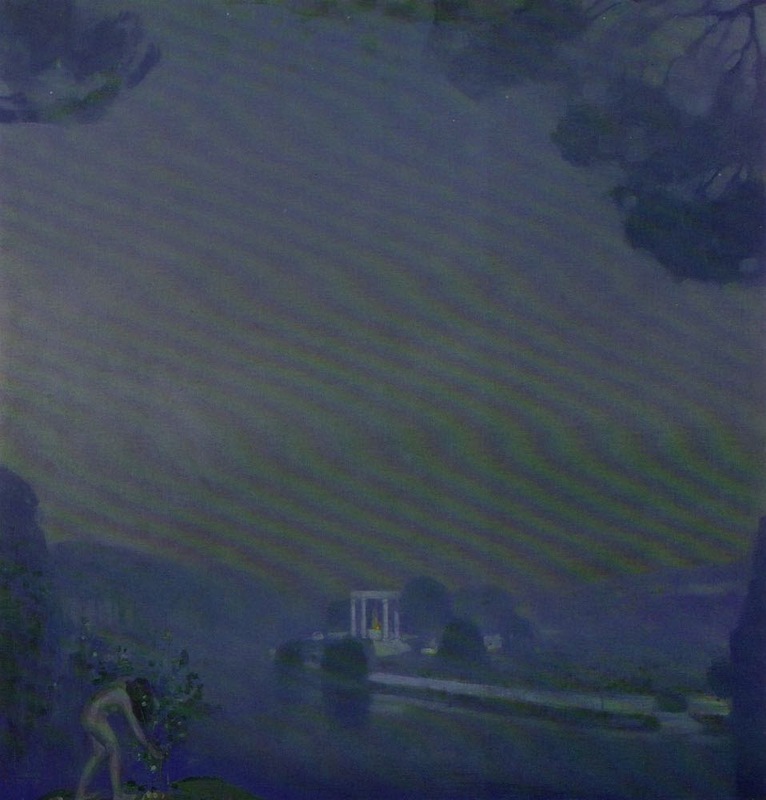 Nocturne by Eduard Steichen, 1910. From Atkinson et al. 1986. 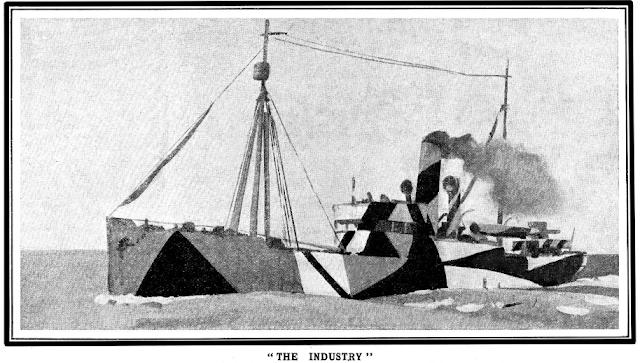 Another disguised character in the writings of the Gordons is decoded and can be added to all the other pre-WW1 personalities now recognised. Reference: Atkinson, D. Scott & William Innes Homer. 1986. The New Society of American Artists in Paris, 1908-1912.